PC Christopher Nichols, left, had been Datchet’s ‘bobby’ since 1912. He was born on Christmas Day, 1889, in Buckinghamshire and baptised on 9 February at Moulsoe, near Newport Pagnell. Christopher was the youngest of at least 15 children born to Benjamin Nichols. When he was born, his father was about 60 and his eldest brother was 34. Benjamin was a gamekeeper and agricultural labourer, born in Castlethorpe, Buckinghamshire, c1829. Benjamin’s first wife was Jane Pearce who died in 1867 after the birth of her seventh child. Benjamin then married Jane Mobbs, a lacemaker from Lathbury, in 1869 and she was the mother of his next eight children, including Christopher. Christopher’s brothers and sisters included: James (born c1856); William (c1857); Ann (c1859); Andrew (c1860); Charlotte (c1863); Benjamin (c1865); Henry (c1867); Alice (c1870); Joseph (c1872); Ellen (c1874); Amelia (c1876); Sara Ada (c1878); Mary (c1880); and Catherine Susan (c1885). In the 1891 census, baby Christopher was with his parents, brother Joseph, and sisters Ellen, Mary and Catherine at Broughton, near Newport Pagnell. The family was living in four rooms. In the following census, 1901, Christopher, then 11, was at home with his parents, One of his nephews, Ernest Ayres Nichols (who also died in WWI) was also living with them. 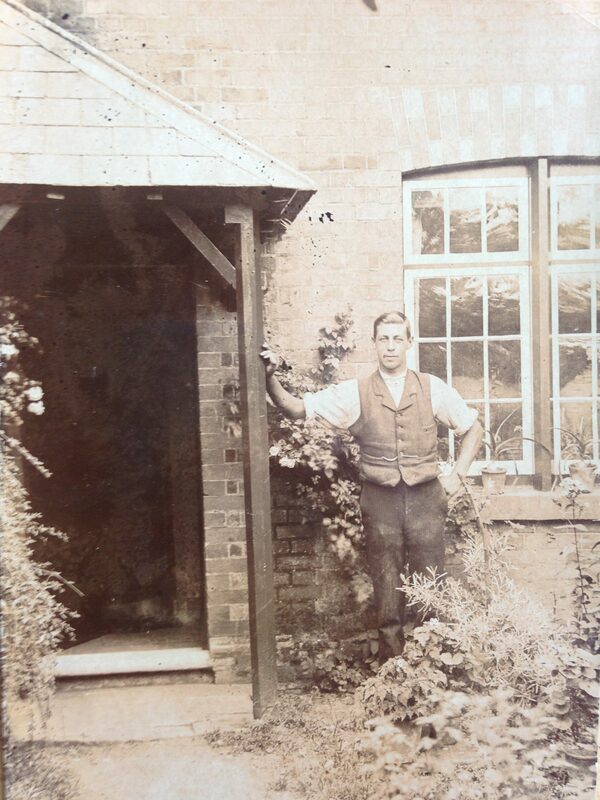 Christopher’s father, Benjamin, by then 71, was still working as an agricultural labourer. Benjamin died early in 1909. In November that year, according to the Thames Valley Police website, 19-year-old Christopher was appointed Police Constable 79 in the Buckinghamshire Constabulary. The following March, after his initial training at the Buckinghamshire Constabulary Headquarters in Aylesbury, Christopher was posted to the Southern Division and stationed at Slough. 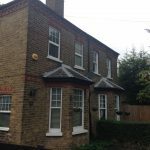 He was one of seven constables living at Slough Police Station. 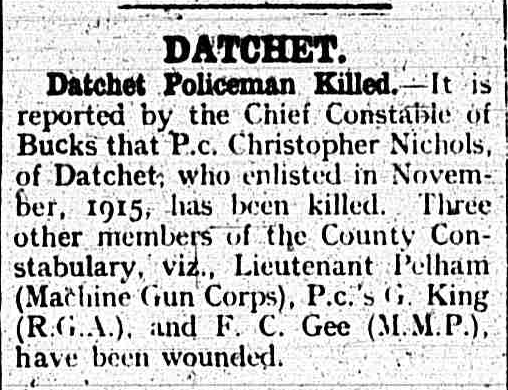 On 25 July 1912, he was posted to Datchet, within the Southern Division. 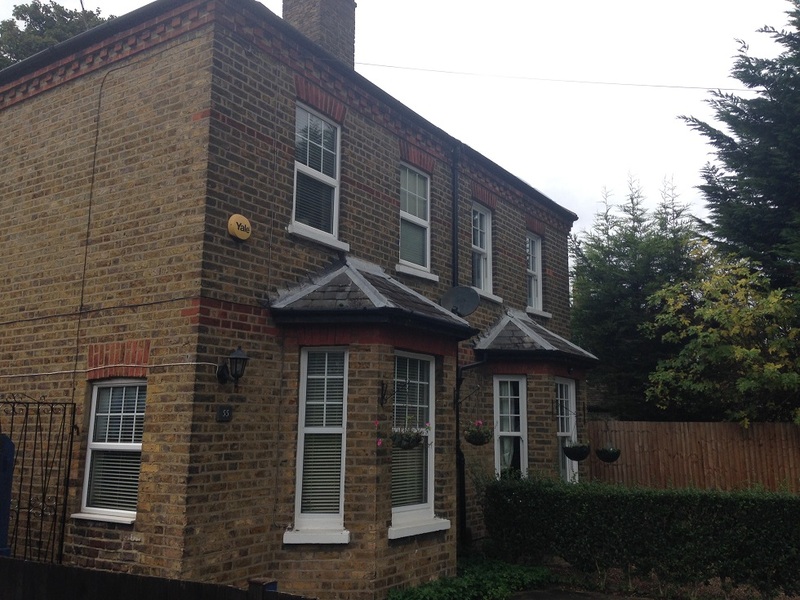 The police residence in the village was Crispin Villa, 55 Slough Road. Christopher’s police work didn’t go unnoticed. His name often appeared in the local press. On 11 February 1913 he was commended by both the Maidenhead magistrates and his Chief Constable for the smartness he had displayed in arresting a person wanted for larceny, and for the able manner in which he gave evidence which led to the thief being convicted and sentenced to four months’ hard labour. Like many other men his age, Christopher volunteered to serve in the military during the war. 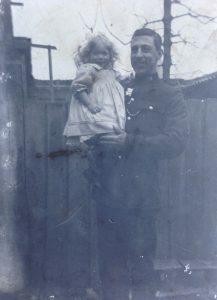 In November 1915 he was released by the Chief Constable of the Buckinghamshire Constabulary under the provisions of the Police (Emergency Provisions) Act 1915 for military service. Christopher enlisted in Aylesbury that same month. He would, at some point, have had to vacate the house, Crispin Villa, which came with his job. 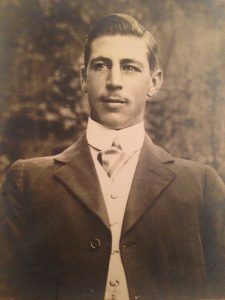 He was given a good send-off by the Working Men’s Club in Datchet, of which he was a member, which was reported in the following issue of Datchet Parish Magazine in December 1915. 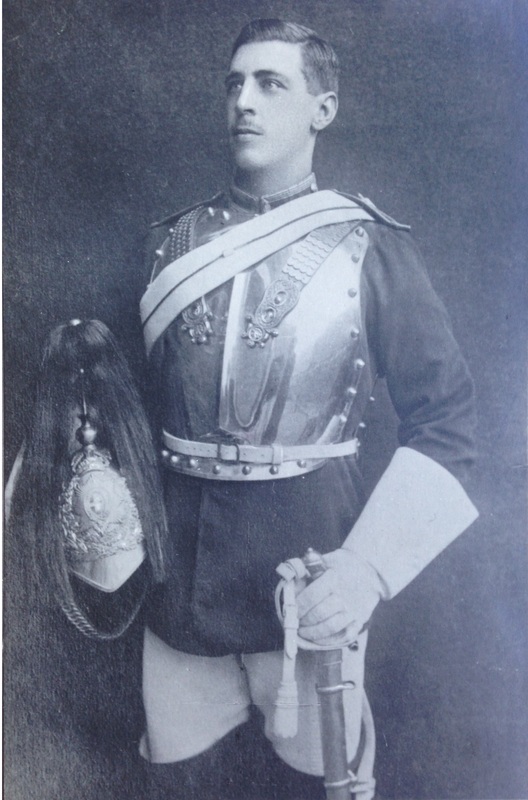 Christopher joined the Royal Horse Guards as Trooper 2513 in November 1915 and later transferred to the 2nd Battalion Coldstream Guards as Guardsman 22726. He was fighting with the Coldstream Guards when he was killed in action in March 1918. 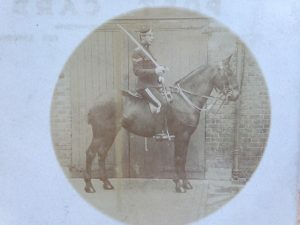 Christopher is remembered on some memorials, including those in Datchet, as a Trooper in the Royal Horse Guards which suggests that he spent most of the war with the RHG. This appears to be confirmed by a website, ArmyServiceNumbers.blogspot.co.uk, which indicates that Christopher’s service number in the Coldstream Guards, 22726, was issued between 8 January and 16 March 1918. The Royal Horse Guards were engaged in various actions on the Western Front in 1914-15. At the end of 1915, when Christopher joined, they were part of, first, the 7th then the 8th Cavalry Brigade in 3rd Cavalry Division. In 1916, they had no major engagements. In April 1917, they were engaged in the First Battle of the Scarpe and the attack on Monchy le Preux. In November 1917, they were transferred back to the 7th Cavalry Brigade. In March 1918, (by which time Christopher was no longer with them) they left the 3rd Cavalry Division to form No.3 (Royal Horse Guards) Battalion of the Guards Machine Gun Regiment. The 2nd Battalion Coldstream Guards, stationed in Windsor, was also fighting on the Western Front. 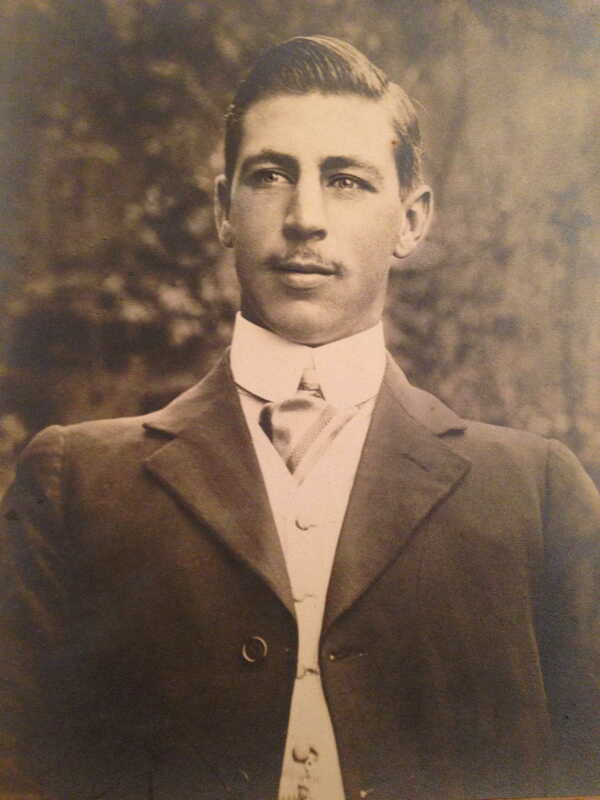 Christopher was with the 2nd Battalion when he was killed in action, age 28, on Sunday 24 March 1918. The date suggests that he lost his life during the Battle of St Quentin, perhaps at Bapaume. Was Christopher also in the Household Battalion? Christopher was awarded the British War and Victory Medals. 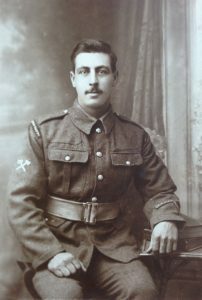 Curiously, his medal records from the Coldstream Guards (inserted below – click on the picture to enlarge) list his previous unit as 1/Household Battalion, 828 Trooper. Could his progression have been from the Royal Horse Guards, briefly via the Household Battalion to the Coldstream Guards during the widespread reorganisation of the army in France in 1918? This service number, 828, seems quite low; perhaps a new series of numbers had been started for the reorganisation. The Household Battalion was formed in London in September 1916 from the reserve units of the Household Cavalry (the 1st and 2nd Life Guards and the Royal Horse Guards). The cavalry troops were retrained as foot soldiers to fight the increasingly mechanised war. They suffered heavy losses at the Battle of Arras and at Passchendaele (Third Battle of Ypres) and the battalion was disbanded in February 1918 as part of a widespread reorganisation of the army in France. The men went initially to the 11th Entrenching Battalion where they became available for posting to any unit which required a draft. It seems unlikely that Christopher spent much time with the Household Battalion as this is the only source which mentions it. 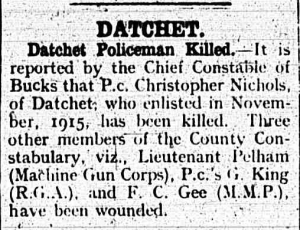 A month after Christopher’s death, the Slough, Eton & Windsor Observer reported, on 27 April 1918, “Datchet Policeman Killed”. 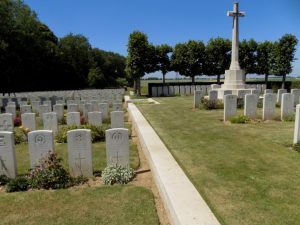 Christopher’s grave is now at Bucquoy Road Cemetery, which lies between Ficheux and Boisleux-au-Mont in northern France. After the Armistice, graves from surrounding battlefields and small cemeteries in the area, including Christopher’s, were brought to Bucquoy Road. The cemetery now contains 1901 burials and commemorations of the First World War. 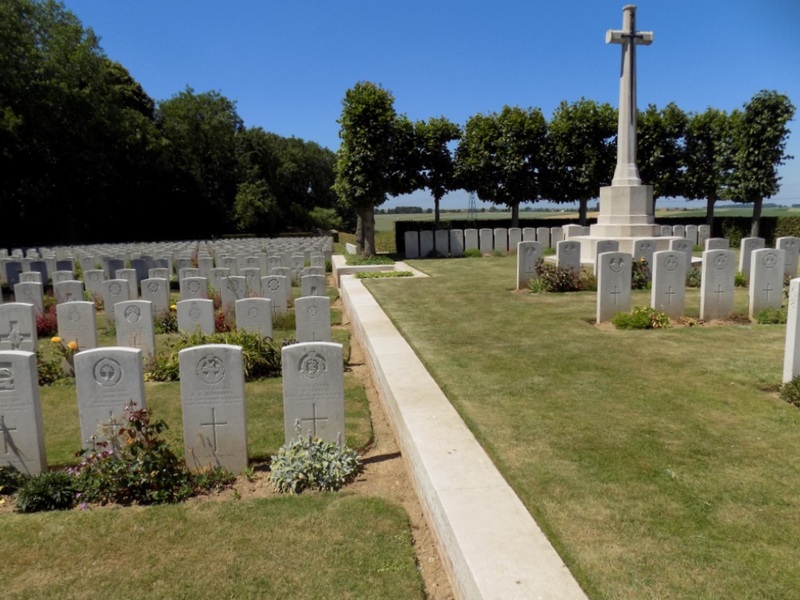 More details about the Christopher’s grave and the Bucquoy Road Cemetery can be found on the Commonwealth War Graves Commission website. Christopher’s headstone reads: 22726 Guardsman C T Nichols Coldstream Guards, 24 March 1918. His grave reference is VI.E.4. Christopher is remembered not only on Datchet’s War Memorial on the village green but on memorials in Broughton, Milton Keynes, Aylesbury and Windsor. His name is listed in the Broughton Roll of Honour at the Church of St Lawrence near Milton Keynes. He is also remembered on the WWI memorial for 15 fallen police officers at Central Milton Keynes Police Station. Of the 225 in the Buckinghamshire Constabulary during WWI, 78 were called up. Fifteen were killed in action, died or were accidentally killed, and three were injured so badly that they were unable to return to police duty. A brass plaque at Aylesbury Crown Court, at the entrance to Court 2, lists the men of the Bucks Constabulary, including Christopher, who lost their lives in the Great War. Christopher is also remembered in the Roll of Honour at Holy Trinity Garrison and Parish Church in Windsor. This book, which is kept on the left of the altar, lists Christopher’s details in the Royal Horse Guards and Coldstream Guards, see picture below. There is no mention of the Household Battalion. 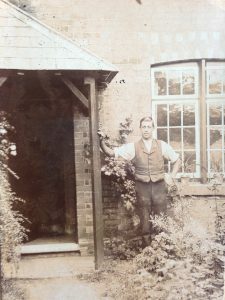 DVS is very grateful to Christopher’s great x3 nephew who kindly contributed some of his treasured family photographs for this page.